I’ve made this stuffing for Thanksgiving dinner for the past couple of years, but this year I finally wrote down all of the ingredients so I can have an actual recipe to follow for the next time I make it. 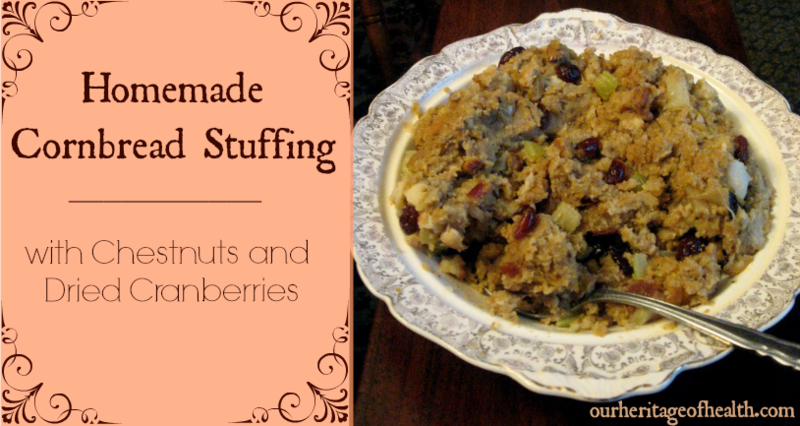 This is my favorite holiday stuffing recipe, but it would also be equally delicious any time of the year with a roast chicken or as a side dish to any meal. This homemade cornbread stuffing recipe is one I made based off of several different old-fashioned stuffing, or forcemeat, recipes from the 19th century. The base is a mix of cornbread and breadcrumbs, and the mix of chestnuts, dried cranberries, apple, and herbs give it a nice blend of savory and sweet. Crumble up cornbread and breadcrumbs and set aside. Add crumbled-up cornbread and breadcrumbs to the saucepan, along with the other seasonings and stir well to combine. Add the other half of the butter, the broth, and the egg. Reduce heat to low and continue stirring for a few more minutes until all ingredients are well combined. 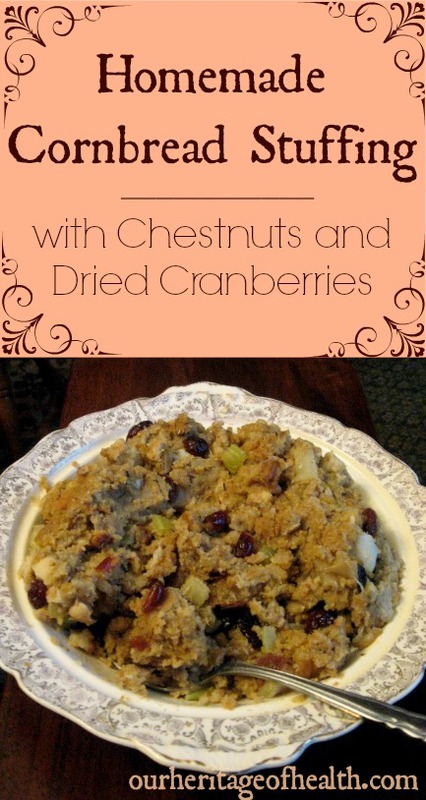 ~ Recipe makes about 4 1/2 cups of stuffing.